Rollerball, 160 meters of rolling pleasure at Kalim Beach, Phuket. Each of our runs have been custom designed with FUN and SAFETY in mind. Make Up Store is one of the leading cosmetics franchises in Scandinavia. 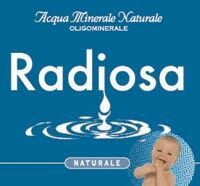 The environmental characteristics of "Radiosa" water are unique. The water spouts at the foothills of Monte Fumaiolo at an altitude of about 1120 m above sea level in a wholly naturalistic, uncontaminated area.